Love their home, and everything it means to them – family, security and the opportunity to indulge in practical yet beautiful decorating ideas. Are actively decorating and renovating their homes. Many have bigger project plans, such as extensions, kitchen and bathroom transformations. Love shopping for beautiful home products. They have a keen eye for a bargain, yet are also willing to invest in appliances, design and technology. Busy Families - Couples with pre-school and school-age children – some stay-athome mums and others working mums. They live in a variety of properties. Settled Homebodies - Pre and actual retirees with grown-up children, comfortable homes and gardens. They own their properties outright or have small mortgages. 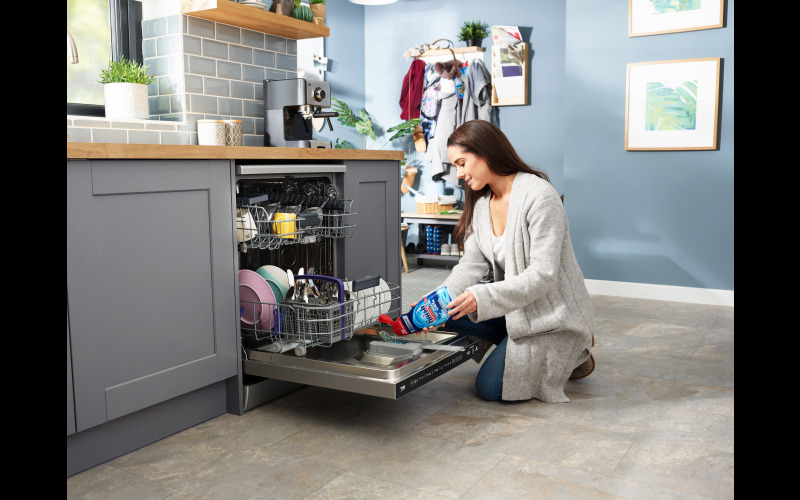 The UK’s number one large home appliance brand, Beko, is offering three lucky Ideal Home readers the chance to win a brand new Beko AutoDose Connected Dishwasher worth £399! Compatible with Amazon Alexa, the WiFi Connected* Beko AutoDose Dishwasher notifies you when the gel detergent needs replenishing or when the filter needs cleaning. It can also download new wash programmes or set the dishwasher to start during off peak electrical hours to save you money on your energy bill. Not only that, it also cleverly reorders your detergent automatically through the HomeWhiz app with either Amazon’s Dash Replenishment System (DRS) or Finish 365, so no need to worry about remembering yourself! It’s not just convenience that Beko prides its new launch on, it also provides smart technologies designed to make life easier. AutoDose technology means you will no longer need to refill the detergent with every wash, just fill up once and it lasts for up to one month. The AutoDose Connected Dishwasher also detects how dirty the dishes are and dispenses the correct dose of detergent, even on the shortest cycle, to deliver perfect results. What is the name of the premium technology in this prize? Here are some of the brands we work with. These brands have provided such prizes as: kitchen appliances, gift vouchers, holidays and much more. Readers love Ideal Home’s democratic approach to home design. We’re not the Style Police making judgements about style, taste or budgets – we simply showcase the very best ideas, best new products, best homes, so anyone can put together their own unique mix. We think creating a home should be fun and exciting, and that’s how we want our readers to feel when they flick through our beautiful, contemporary pages. On this publication you will typically receive between 2066-2971 of opted in individuals requesting more information.